Birth trauma and Post traumatic stress disorder, the emotional impact having a baby born early or a baby in a Neonatal unit or losing a baby, is little understood. Often families struggle to find and access support and the results for a family can be devastating and life changing. Unfold your Wings is a place of information and support for families and healthcare professionals. It’s aim is to raise awareness of Birth Trauma and Perinatal PTSD, reduce stigma, help to educate others by sharing stories and give sufferers hope. Perinatal PTSD or suffering after birth trauma can leave you feeling lonely and isolated. It can be a dark place, filled with despair and anxiety. Sometimes it may feel like your world is ending, as you are no longer the person you use to be. But healing from Birth Trauma is possible. ‘Just when the caterpillar thought the world was over, it became a butterfly’. 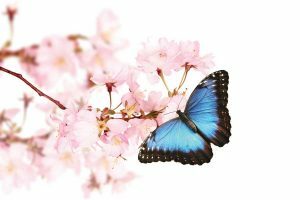 With help and support you can break free from the dark cocoon of Birth trauma and Perinatal PTSD, you will unfold your wings and become like a beautiful butterfly finding freedom from the pain that has held you for so long and once again find light and peace.